Our quality economy business cards are designed with the same care and attention to detail as our standard, deluxe, premium deluxe, plastic and colorplan range of business cards. Also suitable for appointment or taxi cards etc. 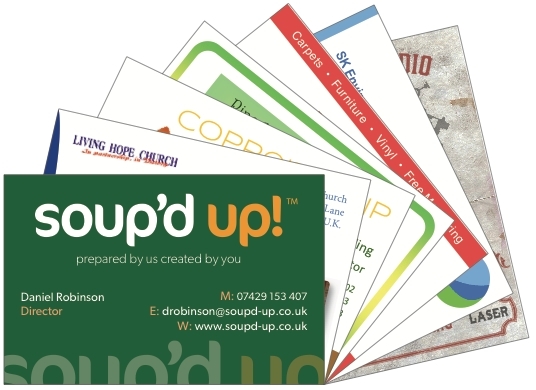 These cards are printed onto a high quality, 300gsm, 350gsm or 400gsm art board. Finishing options on these cards can also include Gloss or Matt Lamination, Flood UV Varnish or Round Cornering. Prices include delivery and VAT.